There’s someone new at Velveteen Babies, and all around the world of children’s design too. 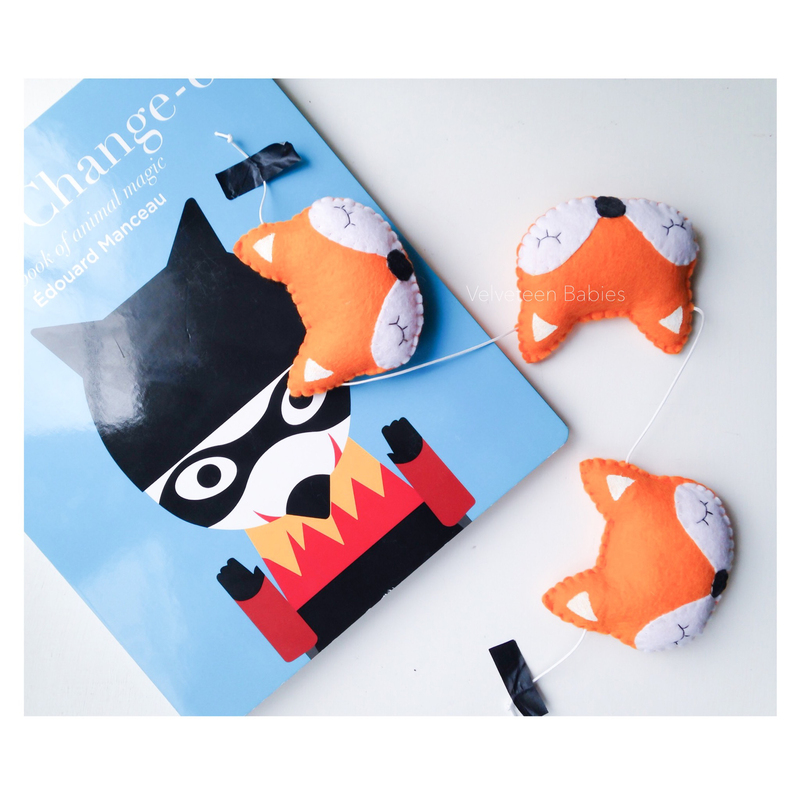 The fox features in the magical world of Bobo Choses’ AW collection entitled ‘The Unknown Mountain Journey’ in sweats and t-shirts (We are huge fans ). 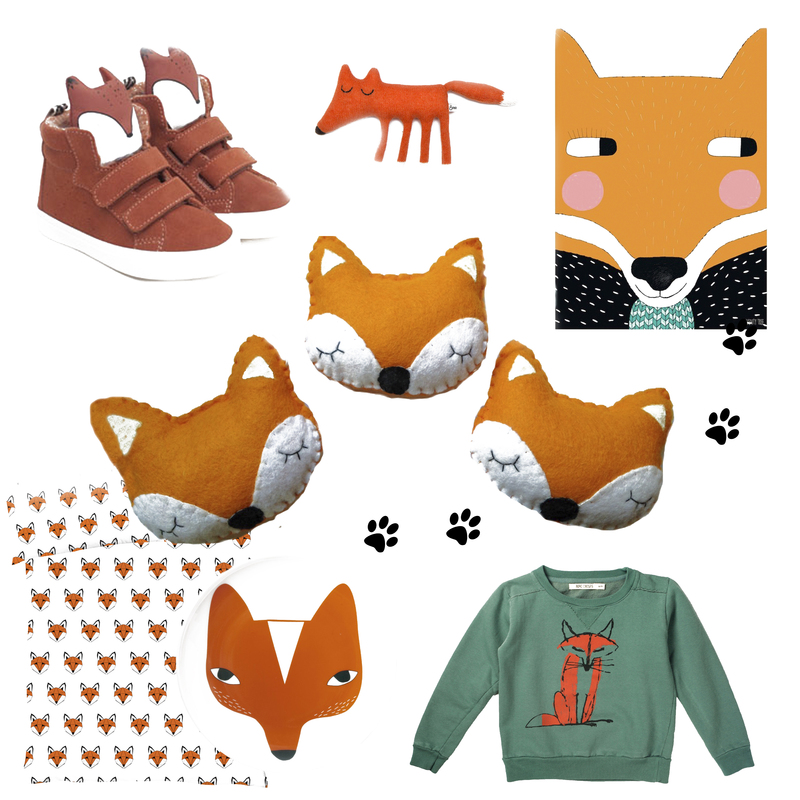 Shown in the flatlay is a Bobo Choses sweatshirt from Scandimini’s with fox illustration. Spotted in Zara are these trainers with fox faces at £17.99. Print £25 by Seventy Tree. Plate £22 by Donna Wilson. Knitted fox toy by Sara Carr on Etsy. Fox Garland available in 3 and 5 fox lengths from Friday 4th September at Velveteen Babies on Etsy. New Fox garland available from September 4th from Velveteen Babies.